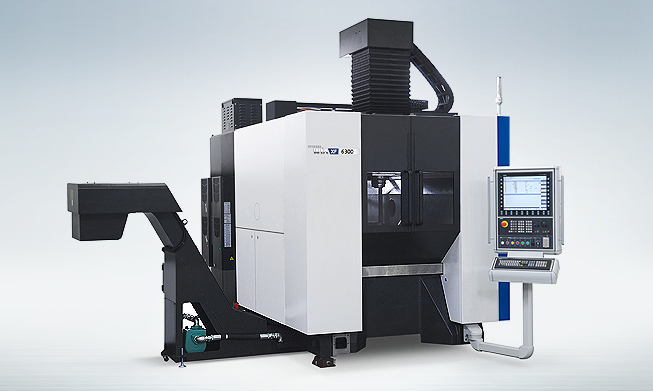 The Vertical Machining Center XF6300 designed by Hyundai WIA with years of expertise and the latest technology, is made to meet the intense performance requirements of the mold industry. XF6300 is designed with unified column-bed structure. When compared to separate structure, it has better structural stability. It demonstrates excellent performance in high quality machining with high rigidity and excellent vibration absorption. 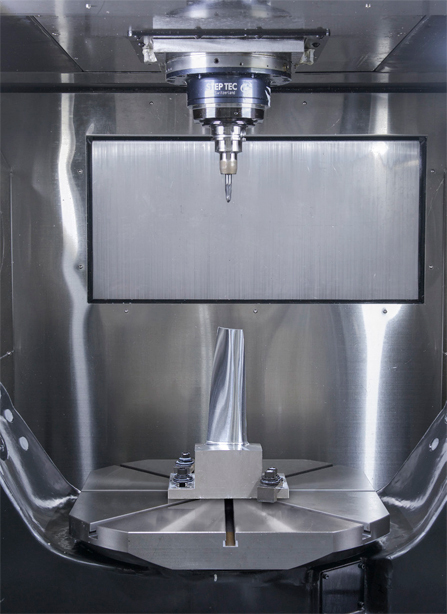 X-axis of XF6300 has box-type saddle design with 4-way structure in a cross beam to realize improved strength and minimized thermal displacement. 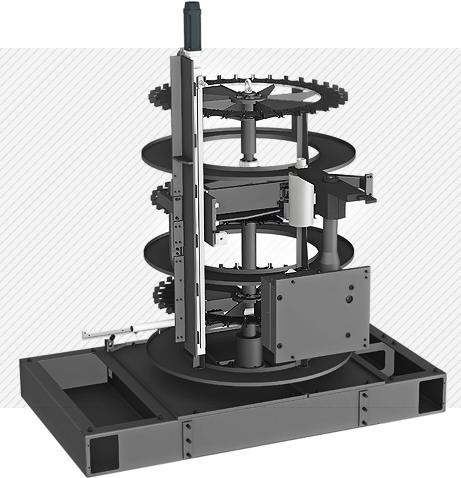 The pusher(head body) in the saddle of X-axis, which surrounds the spindle cartridge, is desinged with box-in-box type. This thermal equilibrium structure helps minimize thermal deformation. 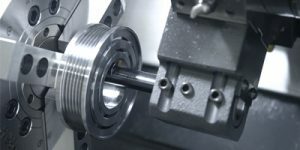 Vibration and thermal displacement during travel can be minimized by symmetric structure of Z-axis where travel axis is aligned with the weight center of spindle. The spindle is desinged with built-in structure. This helps reduce vibration and heat and shows fast acc/deceleration for high precision machining. Spindle temperature is controlled by the use of a spindle oil chiller. 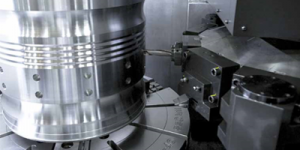 This ensures constant spindle temperature and minimizes thermal deformation. 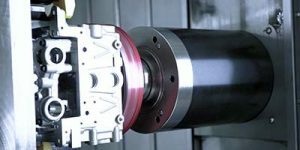 HSK tool holder is applied for precise positioning with less expansion on spindle taper during high speed rotation. 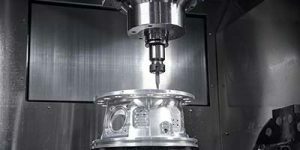 This ensures excellent level of precision for mold machining. Through Spindle Coolant is exceedingly useful when drilling deep holes. It helps increase the lifetime of the tool, while decreasing cycle time. 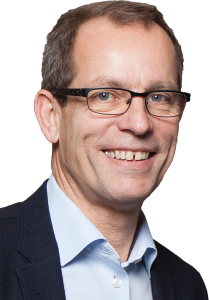 Tool change time (chip-to-chip) of 4.5 seconds is best in its class. Tool change mechanism has improved by applying the ring-type ATC. 1-step magazine of 34 tools is provided as standard. 2-step magazine of 68 tools and 3-step magazine of 102 tools can be selected as an option. 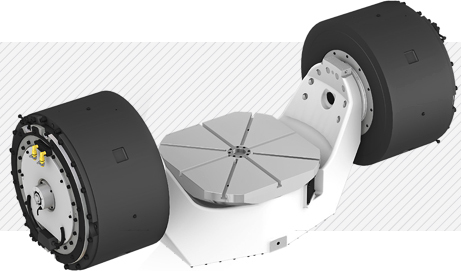 XF6300 applies DDM Tilting Rotary Table, The direct drive method provides superb productivity and high quality.